Your bathroom is much more than a tub and toilet. It should be a place where you can feel energized as you begin your mornings, or the place you come to wash away the stress of the day. At Fahy Kitchens, we know that the right accessories are an important addition to your bath, and we offer everything you need – sinks, faucets, fixtures and decorative hardware – from some of the most trusted names in the business. We offer high quality, durable sinks, faucets and fixtures from leading manufacturers like Kohler, Delta and Moen, as well as decorative hardware from Berenson, Top Knobs and Hardware Resources. So when you decide to create a brand new bathroom – keep in mind that the perfect bath deserves the very best in accessories. 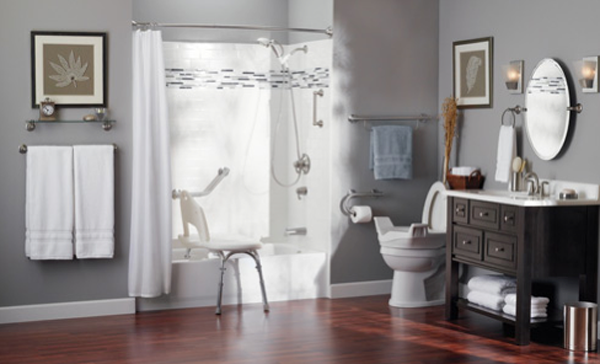 Fahy Kitchens is ready to assist you in finding just the right accessories to complement your bathroom and your lifestyle – contact us or call us today at 315.735.8181 to learn more.